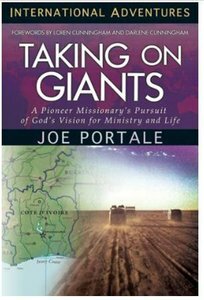 "What we did in taking on this giant in our Promised Land would define our lives and ministry. Either we would run away defeated or we would be courageous and victorious with God's help." Hearing God's call to serve as a missionary in the French-speaking world, Joe Portale responded with excitement, boldness, and humility. His lifelong dreams were being fulfilled, and the land God had promised was within reach. But the journey was not easy. From spiritual forces in France to the perilous Sahara desert to war and poverty in Southeast Asia, Joe and his ministry team persevered through many challenges. Their successes and failures provide a roadmap for all who would respond to God's call, an instructive account of pursuing one's life vocation and ministry. About "International Adventures: Taking on Giants"